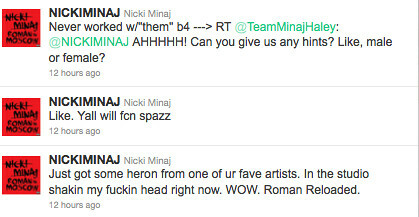 As Valentines Day gets closer, Nicki Minaj is giving fans more and more tidbits of information on her next project. Last week, the alter-ego having emcee tweeted that she was dropping new videos and a tracklist for her sophomore effort, Pink Friday: Roman Reloaded, in the coming weeks. Pink Friday: Roman Reloaded will be available on February 14.